Back pain might be sudden or constant, debilitating or mild. Perhaps, it might be that you bent in the wrong way while lifting something heavy or you are suffering from a degenerative condition such as arthritis. Whatever might be the cause, once your back starts paining, it becomes very difficult to get rid of the pain. Almost every individual can expect to suffer from back pain at least once in his or her life. Sometimes, back pain can be very serious demanding immediate treatment. Back pain treatment is completely dependent on the history of the patients and the severity and type of pain. There are cases of back pain that get better within a few weeks without any kind of surgery. 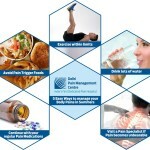 There are a number of tips that you can follow for treating the pain yourself. The most important thing that you can do for treating your back pain is staying active and continuing with your normal day-to-day activities. Thinking that bed rest would help you in recovering fast is completely wrongly. Remaining active will actually help you in recovering quickly. This might be a little difficult for you in the beginning but you should not get discouraged. Try going back to work as soon as possible because this will help you in returning to your normal activity pattern and might distract you from your back pain. Some simple stretches and back exercises can also be of good help in reducing back pain. You can practice these exercises at home as you require them. The best back pain treatment is consulting a physician and knowing the right back exercises that you can do for helping keep the back healthy and strong. You also have the option of consulting a physiotherapist. Activities like swimming, walking, pilates and yoga can also provide good help. NSAIDs or non-steroidal anti-inflammatory drugs like ibuprofen can be of good help in relieving back pain. There are different varieties of these tablets available at supermarkets and pharmacies and you do not require any prescription for buying these drugs. However, it is important to note that NSAIDs are not for every individual and therefore it is necessary for you to talk to a pharmacist prior to taking these drugs. There are other alternative medicines that can also help like codeine, paracetamol and muscle relaxants. Heat placed on the back can be of good help in relieving back pain. You can always place a hot water bottle or take a hot bath for treating your back problem. Cold like a bag of frozen vegetables or ice pack placed on the back area can also offer short-term pain relief. Finally, relaxing and staying positive are considered the best treatments for back pain. Special back pain treatment involves exercise classes, psychological support and manual therapy.